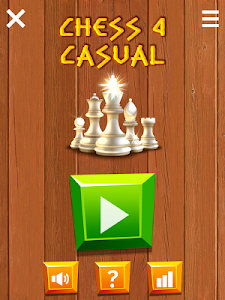 This casual chess game is perfect for casual players to play on your phone or tablet. It allows you to play 1 player or 2 players games. 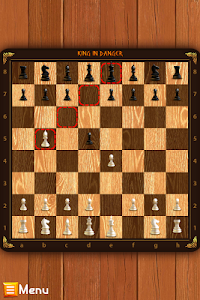 In one player games, you will be playing against the device against machine AI (Artificial Intelligence) algorithm. 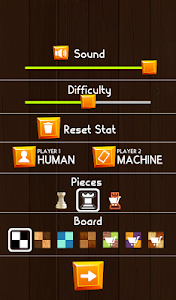 In two player games, you can take turns with your friend/family to play the game on the mobile hone or tablet. 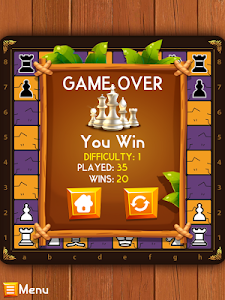 The game comes with multiple difficulty levels from each to hard, simply use the slider to adjust the computer opponent strength. If the computer opponent is too hard to beat, just adjust the difficulty level before starting the game. 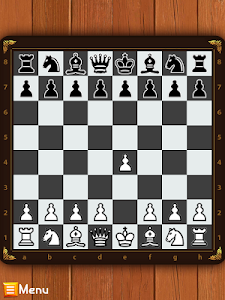 The easiest difficulty level has a not so smart opponent and sometimes it will make silly moves, this is a good opponent for beginners to chess. 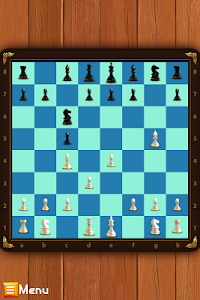 The most difficult opponent is at the highest level, and the algorithm will take its time to think ahead and consider the best moves. It can trap you and catch you off-guard with fancy/unpredictable moves. It should provide good challenge for seasoned casual players. 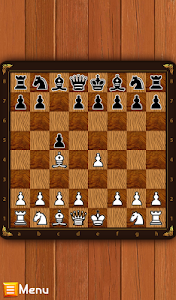 The game comes with several beautiful boards set and chess pieces. 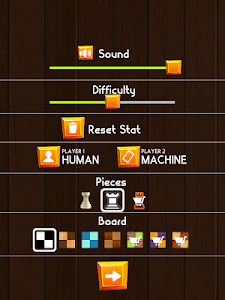 Chose the one you like before starting a game, or you can even swap them in the middle of the game from within the Option screen. 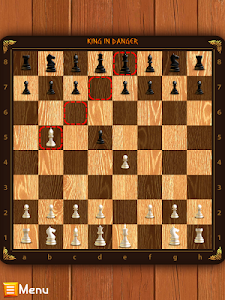 Select the board appearance from wood textures to classic black/gray and white checkerboards. Select the piece-set, from flat 2D style to beautiful classic pieces. - Chess game with 1-player and 2-player mode. Human vs Computer or Human vs Human. 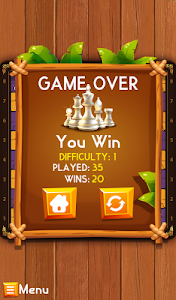 - Adjust opponent strength/difficulty levels for variety of challenges and skill levels. - Option to change the board appearance. 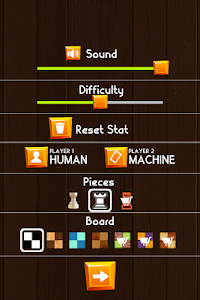 - Option to change the pieces appearance. - Statistics screen keeps track of the number of plays, winnings, losing, and ties. 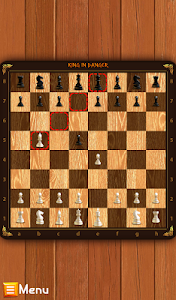 - Animated movement shows where pieces are moving from. 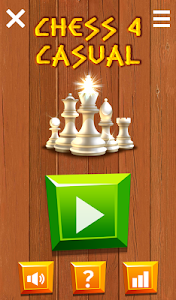 - Highlighting feature help to show the moves that you can make. This game is intended for casual players. 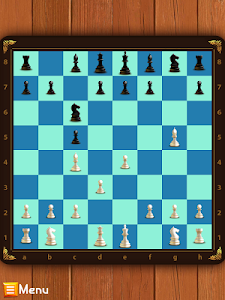 The algorithm utilizes "alpha-beta pruning" to provide the computer opponent with their intelligence. 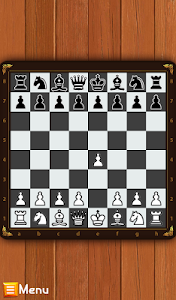 This method should provide the computer opponent with reasonable strength to challenge most casual chess players. 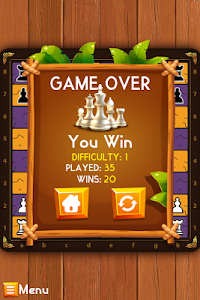 The higher the difficulty levels, the more time it will take for the computer algorithm to find the best moves. If you're the impatient type and wants quick games, set the difficulty level to under 3 (there are 5 difficulty levels levels in the game). 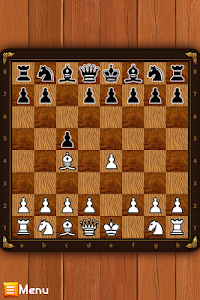 If you're a beginner chess player, we recommend using the lowest opponent difficulty. 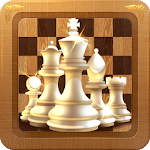 Note that this app won't teach you how to play chess; it assumes that you know the basic rules of chess, such as what moves each piece can make (although it will highlight valid moves, you need to know chess rules to outmaneuver the opponent), or what "check" or "checkmate" means. 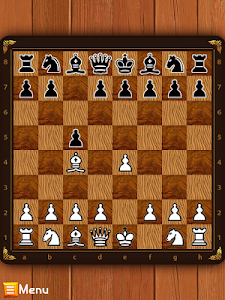 The app may make special moves such as "En-passant" and "Castling." 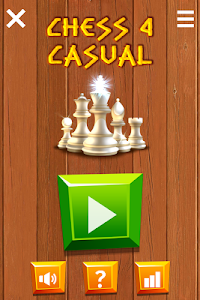 Similar to "Chess 4 Casual - 1 or 2-player"